Occasional headaches can be a nuisance, and are often treated with over-the-counter medication (if desired) and some rest. Severe or chronic headaches – especially migraines – need further exploration to seek the cause and provide much-needed relief. Many people who suffer from migraines may not realize that it could be related to imbalances of head and neck musculature as well as undiagnosed bite imbalances. Dr. Scott Stewart at South Lakewood Dental talks about symptoms, causes and triggers of migraine headaches, and offers a new option for assessment and treatment. 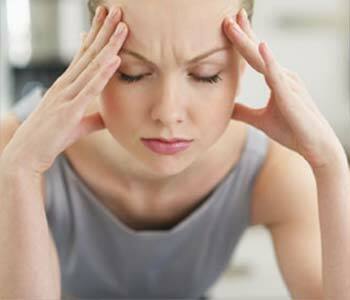 The National Headache Foundation estimates more than 37 million Americans suffer from migraines, which are often misdiagnosed as sinus headaches or tension headaches. A migraine is an extremely painful kind of headache that can last anywhere from a few hours to a few days, and is often accompanied by nausea and vomiting, and sensitivity to light. Some migraine sufferers experience a migraine with aura, which serves as a warning sign that a migraine is coming on. The person may see flashing lights or blind spots, or experience temporary vision loss. The exact causes of migraines are unknown, but believed to be heavily related to dysfunctional muscle activity and off-balanced bite forces. Dr. Stewart offers his patients an innovative and extensive analysis and treatment process called TruDenta. He and his team can evaluate your bite force by examining your head and neck for any muscle dysfunctions and range of motion irregularities, along with other pertinent factors causing headaches, migraines and facial pain to determine if you are a proper candidate for treatment. A number of external factors can trigger a migraine, including stress, excessive caffeine, alcohol, weather changes, certain medications or food – even hormonal changes. Dr. Stewart recommends patients keep a headache diary to track migraine frequency, symptoms and triggers. This helps prepare you for your evaluation with Dr. Stewart and his team. A simple screening is required to determine if a person is a good candidate for Trudenta treatment protocol. Please ask for a TruDenta screening appointment when you call. Dr. Stewart and his team offer in-office head and neck rehabilitation. Ultrasound therapy, manual trigger point technique, Cold-Laser therapy, Microcurrent therapy and *Bite force balancing with all natural anti-inflammatory supplementation are integral components of healing. No medications are needed.